Ningbo Kaili Outdoor Products Manufacture Co., Ltd.
2)Point to point service : There is one sales who will serve you from inquiry to products shipped out. 3)Free design : If you are not ready for the designs, the professional designers will be able to help you with it freely. 6) Please contact us if you have any problems after you received goods, and we will fix it for your at our first priority. WE ARE OFFER VARIOUS DESIGN STYLE AND BRAND NAME HANDBAG WELCOME TO INQUIRY FROM US . WELCOME TO INQUIRY FROM US . WELCOME TO INQUIRY FROM US . 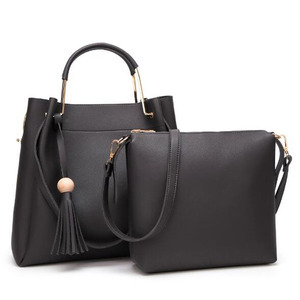 China factory designer women's leather handbag tote bag brand named handbag 3 in 1 *Product Feature Brand Name Noyer Item Number NY-HBA8092203 Item Type Handbag Is_customizd Yes Gender Women Dimension 32*8*28cm Main material PU Closure Type Zipper Hardness soft Price Negotiable depend on the details design and quantity Sample time Sample time: About 7 working days with available material Bulk lead time Usually 20-35 days after confirmation depends on quantity and design Payment T/T with30% advance payment and the balance against copy B/L or L/C MOQ 200 pieces for handbag 3 in 1 Packaging & Shipping *Packing Info &Shipping Info Packing Details 1. A non-woven bag inside, a polybag outside 2. How many pcs in one export carton based on customer request. Shipping Terms 1.Express by FEDEX,UPS,TNT,DHL,EMS (According your request) 2.Tracking Number will inform you immediately after delivery 3.By Air, by sea or combined Transportation 4. Shipping cost depends on shipping way, quantity, weight, carton size and your location. Shipping Time 1.By Express, it will take 5-7days 2.By Air, it will take 10-15days 3.By Sea, it will take 20-50days 1.Any kind of Logo or design is available according client's requirements 2.OEM and ODM are accepted 3.We can design and sampling bags, totes, evening bags, shoulder bags, clutch bags, wallets and so on. 2.leather handbag produce show yusa We have already exported the goods to various coutries. Pls feel free to ask for specific requirements and the picture of our products. 4.Can we print our own logo 9 A : Sure ,we can make customer logo . Hangzhou Fuyang Seven Feathers Printing Co., Ltd.
we have our own R&P team and brand ,we have our own products . 1. Q: Are you factory or trading company9 A: Yes, we are factory. However , as new customer, you have to pay for the sample and freight. 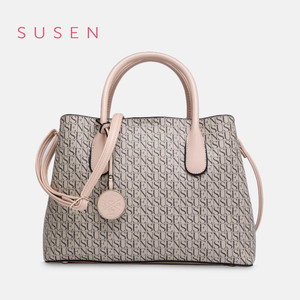 Brand name handbags Brand name handbags description Ladies PU Brand Name Handbags Brand Sharetrade Item No. 3) Lovely and fashion design style. 4) An added security pocket on the interior provides quick access to keys and other valuables. 1. Are you a factory or trading company9 A: We are a factory with 3,500 square meters. Before you come here, please kindly tell me your schedule, we will arrange everything for you. The sample fee is charged according to the material and size of the product. 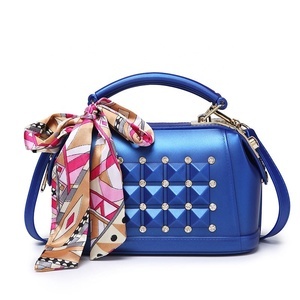 Alibaba.com offers 3,031 name brand handbags products. About 51% of these are handbags, 1% are wallets, and 1% are shopping bags. A wide variety of name brand handbags options are available to you, such as women, unisex, and men. You can also choose from free samples, paid samples. 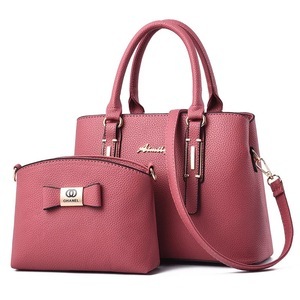 There are 2,938 name brand handbags suppliers, mainly located in Asia. The top supplying countries are China (Mainland), Hong Kong, and India, which supply 93%, 1%, and 1% of name brand handbags respectively. Name brand handbags products are most popular in North America, Western Europe, and Eastern Europe. You can ensure product safety by selecting from certified suppliers, including 809 with ISO9001, 401 with Other, and 109 with BSCI certification.